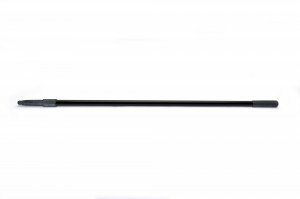 Black Fiberglass 56" Long Tip Handle. Great if paired with floor scrubbing brushes or squeegees. 1" diameter handle.